The West Area is organising the SLC 02 2017 for Tier 2 and above (Secondary 2 & above) Scouts. The objectives of this course are to impart soft skills to the participants and provide the opportunity for them to learn and understand how a scout meeting can be carried out. 2 Attendance is compulsory for both the training and camp in order to complete the course. 3 We strongly encourage your scouts to participate the above course as this is one of the requirements for Scouts to be selected as Patrol Leaders and for the Chief Commissioner Award. 4 All the participating schools are required to send their teacher(s) or volunteer adult leader(s) throughout the training. Adult support is one of the 7 elements of Scout Method. The ratio of 1:8 (1 Leader/Teacher/Rover : 8 participating Scouts). For every 4 scouts registered for the course, units are to register 1 non-participating Scout to be part of the Camp Staff team. 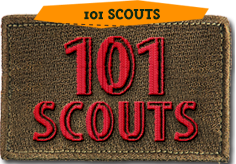 The non-participating scout(s) is/are entitled to clock for VIA hours. If the above requirements are not met, the unit will be further advised before the confirmation of registration. 5 Kindly register the participants and the non-participating scouts through Membership Service Database System (MSDS) portal under Youth Management – Youth Programme Registration. Please also indicate at the remarks column the name of the Scout(s) that will be part of the Camp Staff. 6 All units are to adhere to the list of items to bring for a Patrol for participants’ accommodation and activity. The Camp Staff team accommodation will be in the dorms at Sarimbun Scout Camp. Please fill in the ‘SLC 02 2017 Unit Registration Form’ Excel spreadsheet attached and email them to waqiu.osprey@gmail.com and vijaya@scout.org.sg . Upon successful registration, pre-reading materials will be sent to the leaders for dissemination for the participants via email. 7 Should you have enquiries about the course, please contact Mr. Muhammad Waqiuddin at HP: 83837822 or waqiu.osprey@gmail.com . Mr Muhammad Waqiuddin will be the Camp Chief for SLC 02 2017. 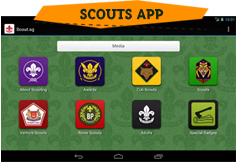 Alternatively, you may get in touch with Ms Vijaya from Scout HQ, at TEL: 62592858 or vijaya@scout.org.sg. 8 We are looking forward to your participation. Thank you.